The dilemma that accompanies any attempt to nail down the Latter-day Saint scriptural canon is apparent. With a constant flow of revelation stemming from a living prophet, it is hard to restrain our religion’s tenets to simply the Book of Mormon. And it was never meant to be so; indeed, Mormonism has always relied on “a vastly expanded spiritual canon” (Givens, Wrestling the Angel). 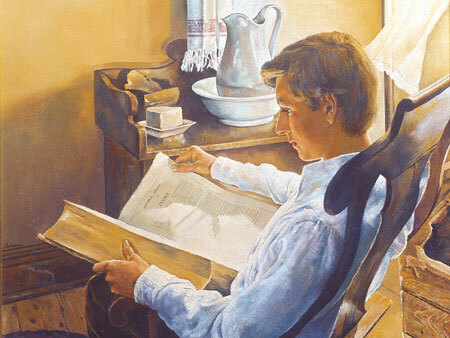 While the Bible, the Book of Mormon, Doctrine and Covenants, and Pearl of Great Price have always stood as essential truth to members of the faith, historically speaking, church members have been encouraged to “seek […] out of the best books words of wisdom [and] seek learning, even by study and also by faith.” While we are given succinct counsel to determine the “best books,” how is that judgment call supposed to be made? To members of the Church who today reside within Utah boundaries, the Church-owned news outlet Deseret News is a familiar and reliable headline source. 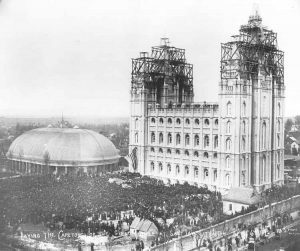 Its legacy as Utah’s oldest continuously published daily newspaper makes it a valuable print resource in understanding the general sentiment of the LDS community regarding a variety of news-worthy topics. In fact, Deseret News article from the Brigham Young era is quite illuminating on the topic of church-sanctioned literature, succinctly titled “A Price List of Church Works.” The 1875 inventory of church literature available for purchase at the Deseret News Office in Salt Lake City contains the obvious texts: The Book of Mormon, Doctrine and Covenants, and the standard church hymn book. However, it lists further texts that perhaps modern-day members are far less familiar with. Although very seldom alluded to in modern Sunday School, these works nevertheless held an exalted position in the founding of the Church. Summarized as “an Introduction to the Faith and Doctrine of The Church of Jesus Christ of Latter-day Saints” and priced at $1.50 by the Deseret News, this fundamental pillar of early Mormon literature was written by Parley Pratt over a two month period on his mission to New York. Widely proliferated and utilized on the earliest LDS missions, the text became both well known and well loved by members. Edward Tullidge, a historian of the Utah territory, called the work “a veritable Testament of a new dispensation, converting thousands of souls, and infusing new thoughts and inspirations into the minds of its readers” (History of Salt Lake City). 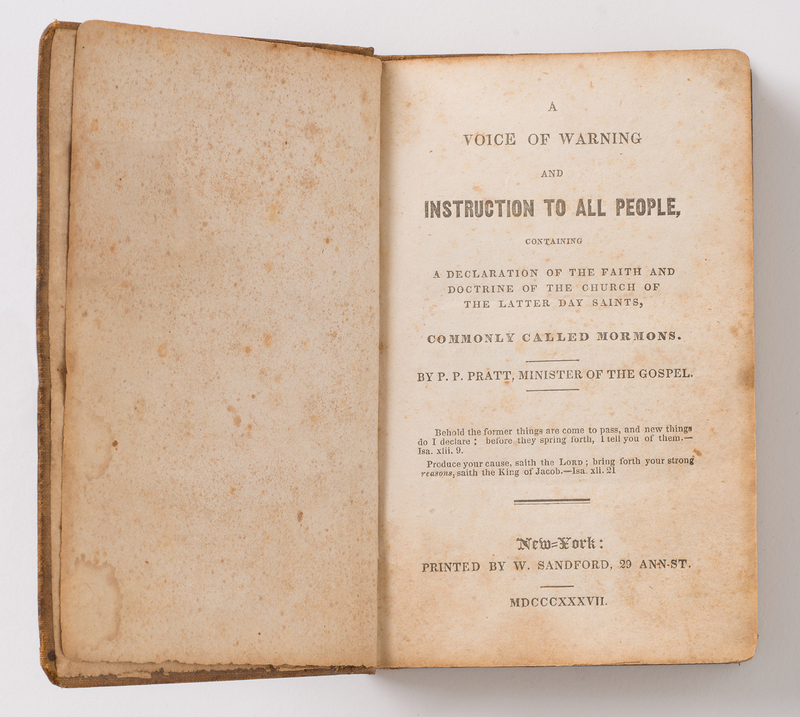 The book outlined to the public Mormonism’s place among religion, detailing the difference between Mormonism and other Christian religions and sourcing scriptural prophecy to explain and contextualize the coming forth of The Book of Mormon. Ask the people what brought them into the church, and you would hear from every direction Parley Pratt’s “Voice of Warning” or “Orson Pratt’s Tracts,” until it would almost seem to you that the Pratts had created the church. Indeed while the best part of Mormon theology has been derived to a great extent from them, and so it may be said that they also, to a greater extent, originated Mormonism. 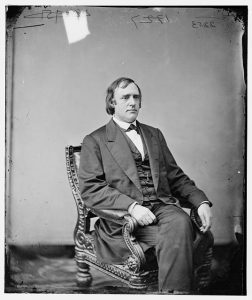 Despite extensive flattery, both Orson and Parley Pratt were dedicated to the teachings of Joseph Smith, whom they both respected and revered as the prophet of a new dispensation. Their standout literary contributions to the Church only helped to further foster and streamline a common Mormon identity, clearing misconceptions and dispelling rumors. Salt Lake City Capstone Ceremony, 1892. Via “Set in Stone, Fixed in Glass: The Mormons, the West, and their Photographers” by Nelson B. Wadsworth. Inside the capstone of the Salt Lake City Temple, therein resides a copy of Orson Spencer’s “Letters.” A prolific writer who served in many high positions in the Church, Orson Spencer became a convert to the Church in 1841 after having graduated class valedictorian from a theological school in Hamilton, New York, and serving as a Baptist pastor for three congregations. His conversion intrigued his Baptist contemporaries, particularly a certain Reverand William Crowell, whose written exchanges with Spencer became an interesting source of explained LDS doctrine. “Letters” addresses many of the same arguments put forward to the Church in its present day, with a unique and well-educated perspective and testimony, and remains a fascinating read for those interested in the foundations of Mormonism. For contextual understanding of Spencer’s letters, you can find (in its entirety) this work in the Project Gutenberg archive. An interesting addition to the list of books associated with the Church, “Catechism for Children” is an intriguing take on questions regarding the Church. Written in a Q-and-A format and scripturally dense, Elder John Jaques addresses how parents should go about answering their children’s questions regarding the gospel. Kenneth L. Alford, an associate professor of church history and doctrine at Brigham Young University, notes that the word ‘catechism’ is suspiciously absent from modern Mormon vocabulary, but was very much a part of the lives of the Saints of the 19th and 20th centuries. Baptized in England in 1845, Jaques’ catechisms originally appeared in the Millennial Star in a serialized fourteen chapter series. In 1854, the articles were published under the name “Catechism for Children,” and became the recipient of rampant success. The next 35 years saw editions in 8 different languages (including the Deseret alphabet) and royalties from ten different printings, with a total of 35,000 copies sold by 1888. Its publication covered a wide array of gospel topics and became a household staple for the education of Mormon children. In doing so, the work also found its place among church-endorsed literature. Dr. Rev. John Phillip Newman. Via the Library of Congress. While the Church formally ended the practice in 1890 through the revelation received by President Wilford Woodruff, these texts were no doubt included to inform church members regarding how and why plural marriage was practiced during the time it was sanctioned. For a modern, well-researched and excellently summarized novel regarding this practice, Laurel Thatcher Ulrich’s “A House Full of Females: Plural Marriage and Women’s Rights in Early Mormonism, 1835-1870” is a stand-out text from which one can glean a fuller understanding of polygamy in the early Church.